Do you want to have joy? True joy comes from having a loving relationship with the God who created us. But sin hinders fellowship with our Holy God. So, forgiveness of sins is essential for maintaining fellowship with God. The apostle John has shown us the way (1 John 1). If you want to know the joy of forgiveness, keep reading. Some people think the Christian life is hard, but God wants His children to be joyful (John 15:11; 16:22, 24; 17:13; Romans 15:14; 1 Peter 1:8). John said he wrote his first epistle “that your joy may be full” (1 John 1:4). John and the other apostles declared “the eternal life,” which was manifested to them through “the Word of Life” Who was made flesh in the person of Jesus Christ. They shared what they had seen and heard with us, so we could fellowship with God the Father and Jesus His Son, along with them (1 John 1:1-3). True joy comes from having assurance of eternal life and continual fellowship with God, our creator and redeemer. But fellowship with God is only possible when our sins have been forgiven. Sin disrupts our fellowship with God and continuing to live in an ongoing state of unforgiven sin can not only destroy your joy, but also undermine your assurance of salvation. 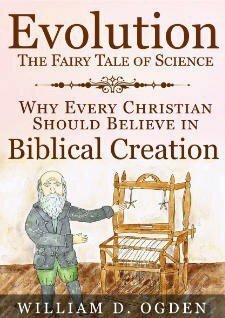 God not only created us, but He took on human flesh, lived a perfect life as a man, and died a terrible death to pay for our sins. Christ has provided the way of forgiveness, salvation, and fellowship with God (John 14:6). If we want the joy that comes from unbroken fellowship with God, we must do our part. Jesus did the hard part by paying for our sins on the cross (John 3:16). Our part begins with believing in Christ as the Son of God who died to pay for the sin of the whole world (John 1:12; 6:29; 3:18) and trusting Him as our Savior (Acts 16:31). Christ was offered once to bear the sins of many (Hebrews 9:25-26, 28; Romans 6:10). For the joy set before Him, Jesus endured the cross once, but has been seated at the right hand of the throne of God (Hebrews 12:2). Jesus has already paid for all the sins of every person who has ever lived or ever will. But we must keep on doing our part. Our relationship with God begins the moment we are spiritually born again by repentance and faith in Jesus as Christ our Savior. But believing in Christ does not make us perfect. We still have a sin nature and continue to sin. Believing in Christ does not make us perfect. We still have a sin nature and continue to sin. 1 John 1:9 provides the remedy for our ongoing sin problem. 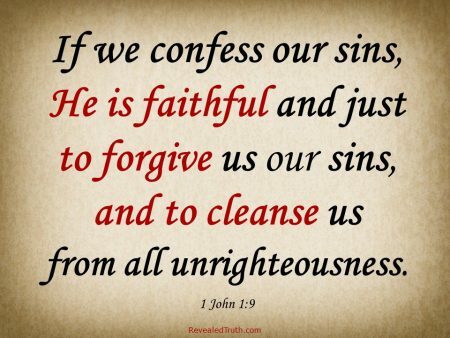 “If we confess our sins, He is faithful and just to forgive us our sins, and to cleanse us from all unrighteousness.” To maintain our fellowship with God, we must continually confess our sins as we commit them. I liken the daily confession of sin to taking a shower everyday to wash dirt away. But instead of soap and water, we need the Holy Spirit to wash our sins away as we confess our sins and pray. We should all strive to live a life free of sin, and ideally, we would succeed. But until we are fully sanctified in heaven, the reality is that we will continue stumbling spiritually. We need the Holy Spirit to wash our sins away as we confess our sins and pray. When I get dirty working or sweaty exercising, I take a shower. And I wash my hands whenever they get dirty. As soon as we realize we have sinned, we should immediately confess it. Perhaps you could even use washing your hands as a trigger reminding you to confess any recent sins. We should also make a habit of routinely examining our lives and confessing sins. I shower every morning. After my physical shower, I read God’s Word and pray. 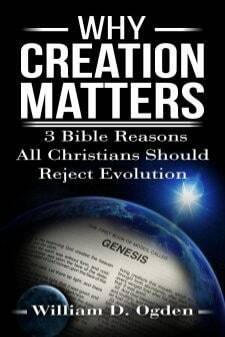 I recommend all Christians have a daily devotional time to read the Bible, confess sins and pray. I like to begin the day that way before my mind and spirit are distracted by the world and life, but any routine time can work. Find a time that works for you and commit to meeting with God every day. 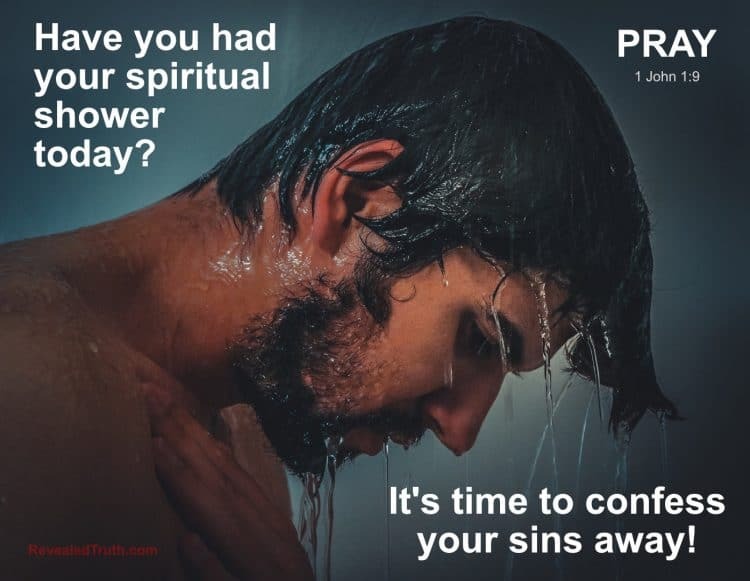 Have you had your spiritual shower yet today? If not, now would be a good time to confess your sins away. Does Your Life Need Pruning?